Win85 - i8085 Emulator for Windows. <New> Version 1.00 source code released. 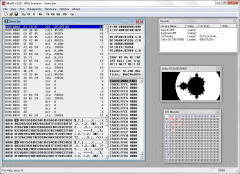 Win85 is an open architecture emulator for the intel 8085 microprocessor. It has been successfully tested under Windows 95, 98, NT4, 2000, XP, Vista and 7. Win85 can emulate a variety of microprocessor systems based on the 8085 chip. The user can construct a system by linking peripheral devices to the 8085 emulation core. Each device is a dynamic link library (DLL) capable of exchanging data with the emulator through I/O ports and generating IRQ signals. This version of the emulator can only load binary (memory image) files with a maximum size of 64kb. 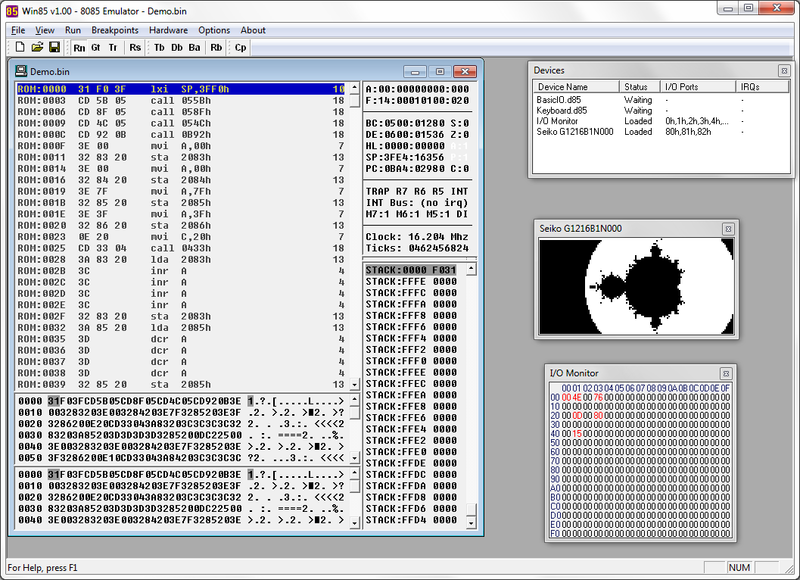 Some 8085 cross assemblers (like Avmac85) creates .hex files only. To convert these files to a binary format you need to use converters like HexForm, HexToBin, etc.